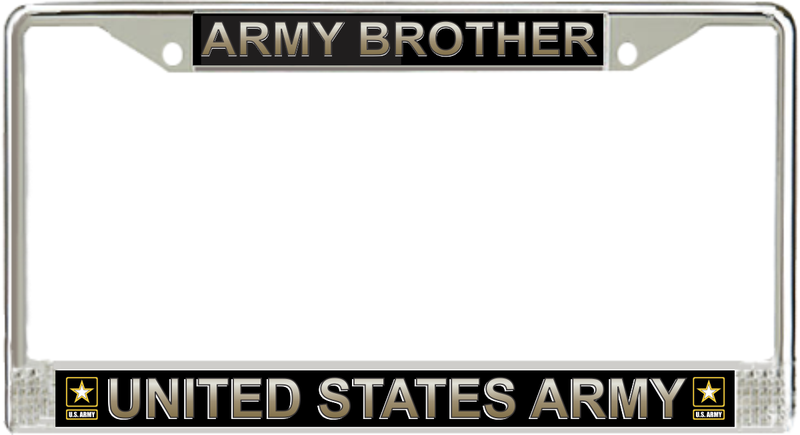 This Army Brother License Plate Frame is made from the highest quality chrome finished metal alloy. Each one is designed to provide years of use. The manufacturer that supplies the military makes this metal license plate frame in the USA.